The most important relationship you can develop in your story isn’t between the characters, but between your protagonist and the reader. The reader needs to empathize with your protagonist and understand his struggle in order to feel connected with your story. But how exactly do you create a connection between the reader and the protagonist? 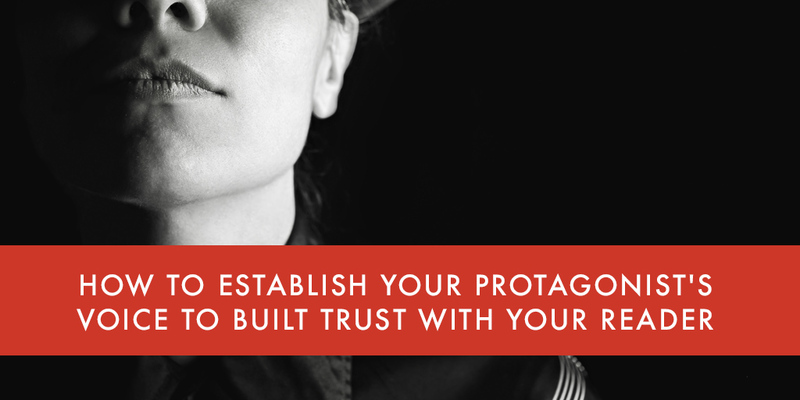 In this post, we’re going to dive head first into how to build trust with your reader through creating a strong and consistent protagonist’s voice. There were an absurd amount of buzz words in that sentence, so let’s also define what we’re talking about first. Ready? Here’s a free list of questions that will help you establish voice. Subscribe to receive this extra resource. Simply put, the narrator tells the story. The Protagonist – The story revolves around this person. The Secondary Character – The character who is close to the protagonist, but somewhat removed. The Detached Observer – This narrator is completely removed from the action and relays the story without personal opinion. The Commentator – This narrator adds personal opinion and insight and becomes his own “storyteller” character. The Interviewer – This narrator exists between detached and commentator. This narrator focuses on the characters with limited commentary, although his opinion may be inferred based on the way he chooses to tell the story. The Secret Character – This narrator appears to be similar to the commentator but then reveals himself to be a pivotal character in the story. He may refer to himself in third person until the big, shocking reveal. The Unreliable Narrator – This narrator appears to be reliable until readers can detect, through interaction with other characters, that the narrator cannot be trusted. The protagonist acts within the story. The story is about this person, even if he isn’t the main character. However, as a general rule, the protagonist is the main character. Are They One in the Same? While the protagonist is usually the main character, the protagonist is not always the narrator. This is connected to your chosen point of view (i.e. first, second, third objective, third limited omniscient, and third omniscient). Sometimes, the writer is the narrator—especially when written in second and third person. For the purposes of this post, let’s say you’ve chosen to use the protagonist as your narrator. How do you now create a voice that makes the reader feel connected to the protagonist? I thought you’d never ask. Let’s first define voice. Voice is more than just word choice. It includes the protagonist’s outlook and attitude, the way he chooses to assert his opinion, how he reacts to the world around him. It should be uniquely identifiable. If you’ve chosen to write in first person as your protagonist narrator, the voice is active. You can directly relate your protagonist’s voice to the reader as if the two are talking face to face. If your book is written in third person limited omniscient, the voice is passive, and we (the readers) only catch glimpses of it through the protagonist’s interactions with others and the world around him. Of the two, it’s infinitely easier to establish a clear voice in first person as a protagonist narrator. Now, let’s take a look at the most important ways to create a connection with the reader through the protagonist’s voice. It’s not always necessary to like the protagonist, but it is necessary to have one that is clearly defined. A character should have clear motivations. That’s not to say that you will always root for the protagonist to win. Here’s a mantra to remember: empathy over sympathy. Your reader may not like the character, but help him understand the character’s motivation. Empathy over sympathy. Your reader may not like the character but help him understand motivation. 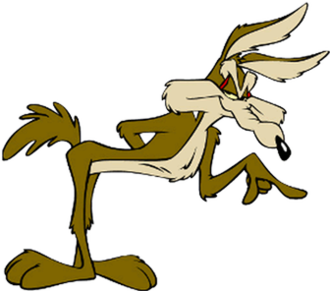 Wile E. Coyote is a compelling, although maybe unlikeable, protagonist. The story is about his fruitless pursuits to capture the Road Runner. While you may not want the Coyote to actually capture the Road Runner (I was in favor of the Coyote), you still understand what motivates him. You may even admire him for never giving up, and you can relate to that experience (empathy). No pressure, but in a first person narrative, the first sentence establishes the tone of your novel and hints at character clues about the protagonist. This is also your opportunity to set the pace. You’re not just setting up the story,introducing characters, or establishing scenes, you’re also speaking for the first time in your character’s voice (if written in first person). The personality doesn’t have to be bubbly, it can be brooding or self-deprecating. Your protagonist’s voice should match who they are, not necessarily who they present themselves to be in the world you’ve created. How do you show personality? You show it through phrasing, how the protagonist presents the story and himself within it, and how he tries to relate with the reader. Focus on your reader’s “presence.” As a writer, you should always have in mind the person who will read your story. 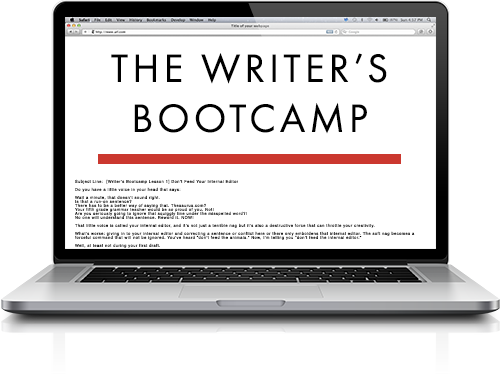 As a protagonist narrator, you have an incredible opportunity to speak directly to the reader. So, how will your protagonist view the reader? Does he talk to him as a trusted friend who knows some of the facts? Or, as a stranger on a train that he’ll never meet again so he feels comfortable sharing a little too much? Perhaps the protagonist is talking to his grandkids, which is a completely different perspective. Decide and define who your protagonist is speaking to. This will help you establish a line of trust with that reader. Your protagonist should change or grow within the story. Not doing so makes him completely unrelatable and, as a result, not trustworthy. Your protagonist shouldn’t just react to events within the story, but also act. Many stories end with a reflective tone that demonstrates a change of perspective for the narrator. Your reader will appreciate that arc. It’s important to focus on establishing a strong relationship between your protagonist and your readers right away in order to build trust with your readers. Use these strategies, and you’re well on your way!